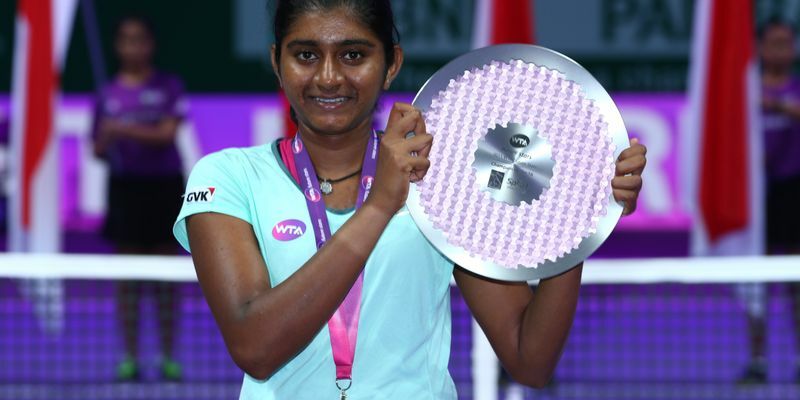 India number three Pranjala Yadlapalli qualified for the main draw of a WTA tennis event for the first time in her fledgeling career in October last year. The Indian youngster needed just one hour and 15 minutes to register a 6-4 6-3 victory over Georgia’s Kalashnikova Oksana as Pranjala was making her return to the court after a three-month injury layoff at the ongoing $25K ITF event in Kashiwa, Japan. In her first match since her injury retirement in Solapur towards the end of 2018, the 20–year-old outplayed Japan’s Misaki Matsuda in straight sets by a scoreline of 7-5, 6-0 to reach the second round of the competition. On the ATP Challenger circuit, the Indian men’s doubles pair of Purav Raja and Jeevan Nedunchezhiyan, seeded third, had a positive start to their outing with a hard-fought win over Fabricio Neis and David Vega Hernández by a 6-4, 5-7, 10-8 margin at Spain's Alicante Challenger. However, Divij Sharan of India and Marcelo Demoliner of Brazil suffered a rather unforeseen defeat in the opening round in the same competition. The top-seeded duo lost 4-6 6-3 12-14 to the Portuguese-Dutch pair of Pedro Sousa and Mark Vervoort. Meanwhile, veteran Indian athlete Leander Paes along with Frenchman Benoit Paire went past Andrea Vavassori and Andrei Vasilevski 7-5, 6-0 to reach quarter-final at the Challenger in Sophia Antipolis.